Image by Flickr user palg1305. 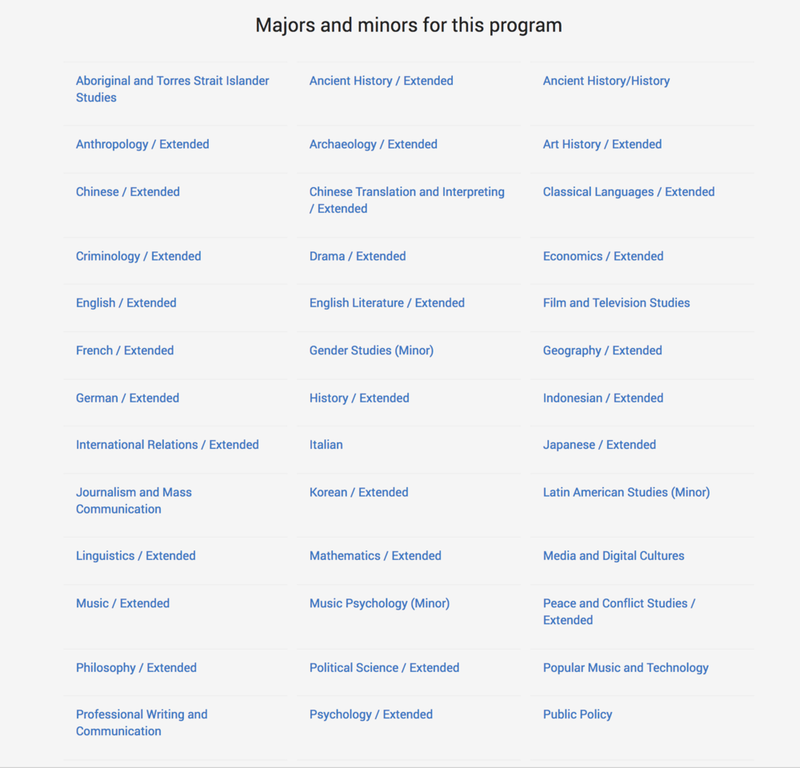 BA Program Sequences, University of Queensland. Image by: University of Queensland. Workplaces are reorienting around multidisciplinary collaboration and innovation enabled by digital technologies and globalised knowledge networks. Yet Humanities and Social Science disciplines have tended to focus on developing high-level specialisations of skills and knowledge which remain isolated. 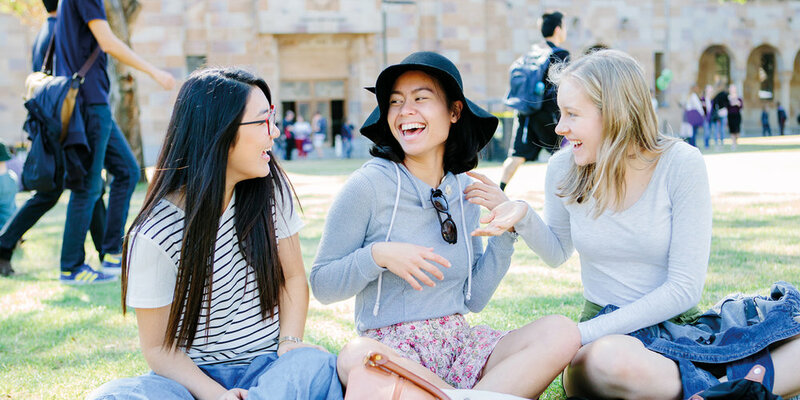 This project will investigate how the Humanities, Arts and Social Sciences (HASS) Faculty at the University of Queensland can develop epistemic fluency and enhance employability outcomes by bringing students together for innovation focused multidisciplinary coursework collaborations within the Bachelor of Arts (BA). To identify appropriate and strategic locations for multidisciplinary collaboration within the BA this Fellowship will pair academics with Student Partners from across the HASS Faculty to work through a process of consultation and feedback. This feedback will be used to write a report detailing methods for achieving multidisciplinary collaboration within the BA and provide recommendations for the structure of these preferred options with an emphasis on cross-cutting courses and assessments. This report will then be presented to the HASS Faculty for consideration towards the redevelopment of the BA. Publications, presentations and a Faculty seminar will also be used for dissemination. Student Research Partners: Ms Emma Cooke, Ms Olivia Cosham, Ms Grace Harries, Mr Yorik Janssens, Ms WingYin Sun and Mr Joseph Wheeley. This project was supported by the 2017 Humanities and Social Sciences Fellowship from the Institute for Teaching and Learning Innovation, the University of Queensland. 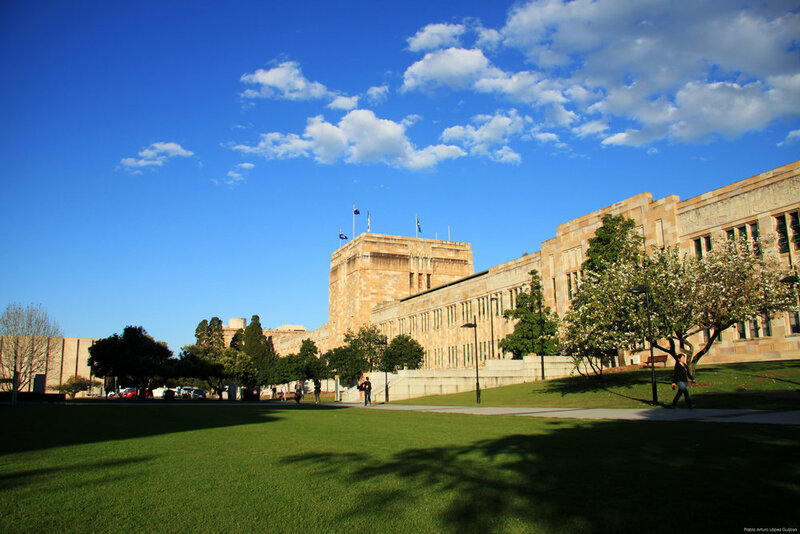 Additional research support was provided by the Faculty of Humanities and Social Sciences, University of Queensland.